Elf switches and video | What's All This Brouhaha? I did test the switches wired to my RetroChallenge project solderless breadboard last night, and they work fine. 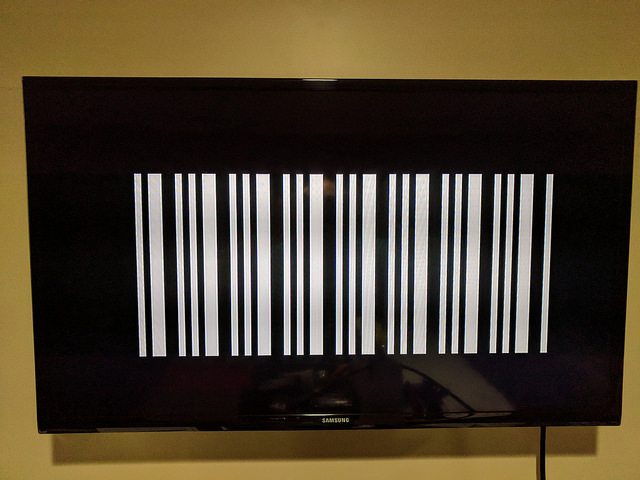 Today I worked on the monochrome NTSC composite video output. The CDP1861 PIXIE timing is used (262 scan lines, 128 scan lines active, 14 bytes per line of which 8 are active). The data byte is fixed. I was pleasantly surprised that the video timing and voltage levels worked on the first attempt. The CDP1861 PIXIE uses DMA to read memory and directly shifts the bits out as video. 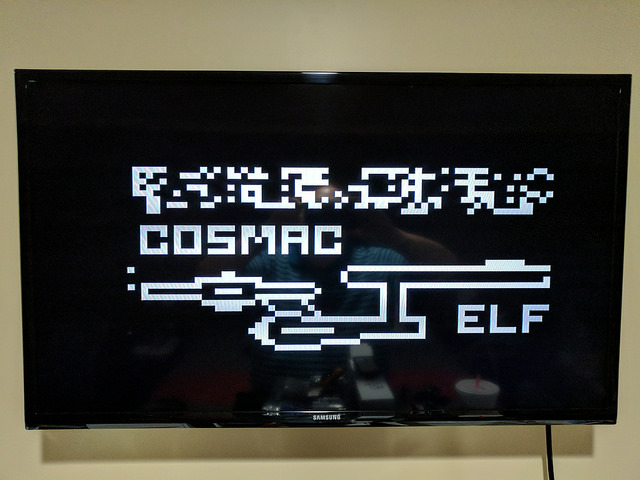 In my design, because the CPU may be run at various speeds, from 1x to 256x the original Elf speed, the PIXIE logic will write bytes into a dual port RAM, and dedicated logic will scan them out as NTSC monochrome video. In this test, the CPU is not hooked up, and the frame buffer data is statically initialized to match the screen shot at the beginning of the July 1977 Popular Electronics article, page 41. I still need to hook up the CDP1861 DMA logic to the CPU, so that I can run the actual program, and others. PCBs are still expected to arrive on Tuesday. 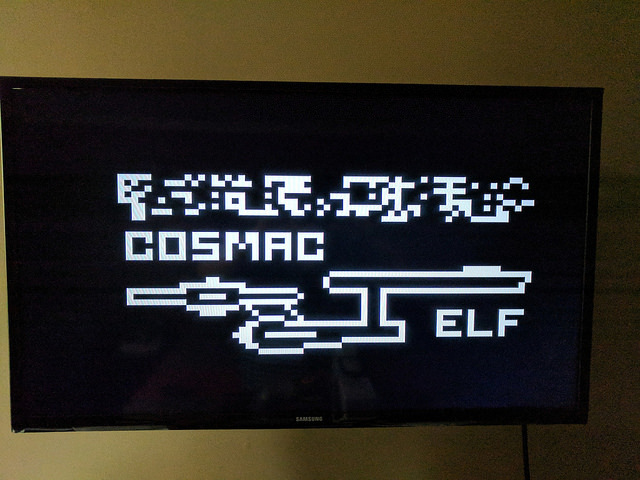 This entry was posted in FPGA, General, RetroChallenge. Bookmark the permalink.